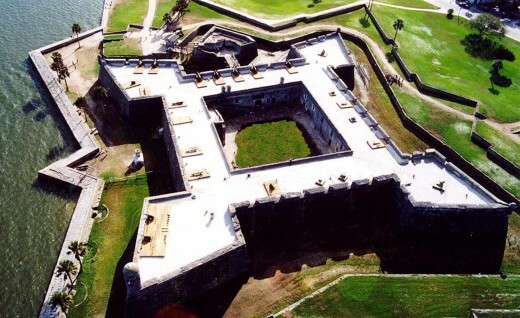 St. Augustine, Florida is the oldest American city, which was founded by the Spanish in 1565. 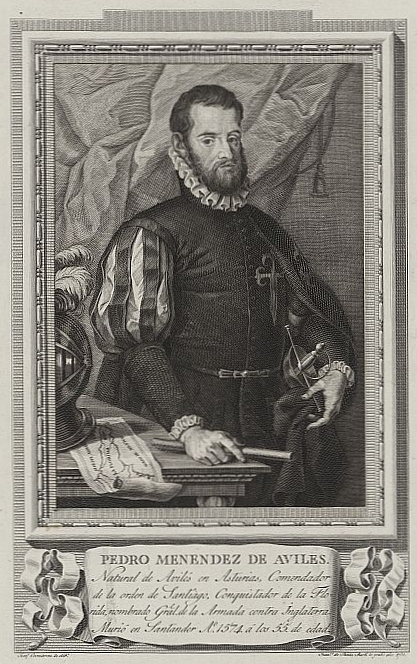 Pedro Menéndez de Avilés was an explorer who planned the first transoceanic trip from Spain. He successfully landed in St. Augustine in 1565, which resulted in a Spanish settlement called La Florida. He was the first governor of Florida. The Castillo De San Marcos, designed by Ignacio Daza, is the oldest and the largest masonry fort in the U,S. 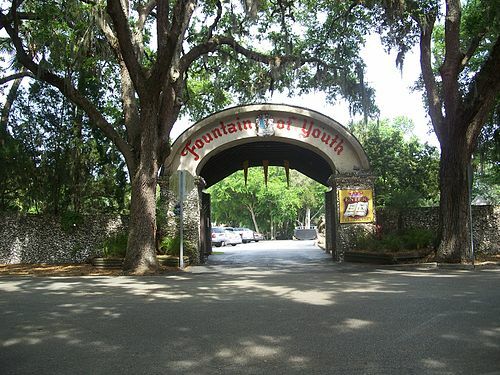 Ponce de Leon searched for the fountain of youth, and this resulted in the Fountain of Youth Archaeological Park. This is a beautiful park with unusual birds and historical items, but I will say the fountain of youth has not worked for me. When the Treaty of Paris was signed on 10 February 1763, by Great Britain, Spain and France, it followed a victory for Great Britain in the Seven Years’ War (also known as the French Indian War). This clearly marked the British dominance outside of Europe for Great Britain. My many times great grandfather fought in that war. Spain formally signed the Adams-One Treaty in 1819, which ceded Florida to the U.S. At this time the fort was renamed Fort Marion, and it was declared a national monument. The original name was restored in 1924, and by then the 20.48 acres were turned over to the United States National Park Service. The fort was used for prisoners, such as the Seminole Indians that included the famous war chief Osceola. 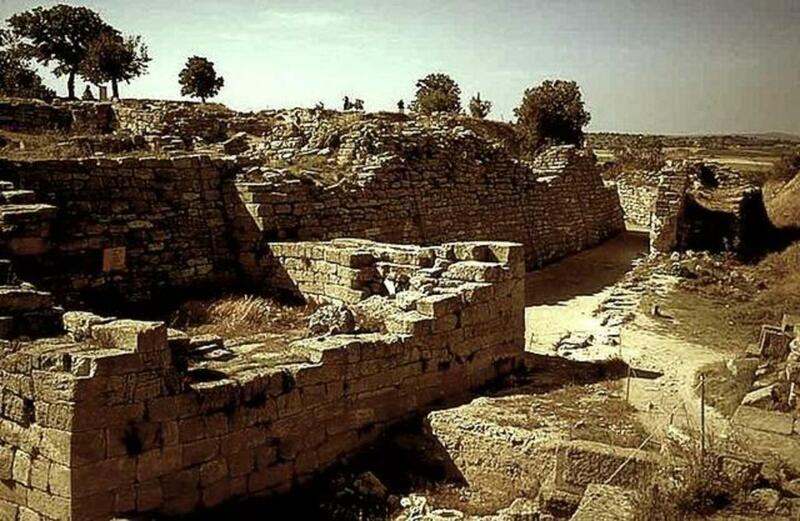 I have toured this fort, and the incarceration must have been miserable, and a sad part of our history. Cheyenne ad Plains tribes were also imprisoned, and this is the beginning of an art form, known as Ledger Art. The inlets off the Atlantic Ocean are dangerous, and over the centuries many ships have sunk.The St. Augustine Lighthouse explores the water, and they have found several old ships that are often centuries old. They cannot bring up the ships as shortly after they are on land the wood shrinks and the boats fall apart. They have a wealth of history available. The lighthouse is a place you can visit. The Castillo De San Marcos fort, the oldest house and the oldest schoolhouse are all available for a tour. The St. Augustine Amphitheatre is a 4,000 seat amphitheater located on A1A and has wonderful entertainment frequently. The Lightner Museum is so interesting with their antiquities primarily from the American Gilded Age, and it is located in the historic Hotel Alazar building. The building is a Spanish Renaissance Revival style, which is listed in the National Register of Historic Places. The St. Augustine Distillery is located in the historic ice plant, and you may watch handcrafted small batches of super premium spirits. If you want to see strange and possibly shocking things, then you should visit Ripley’s Believe It or Not. 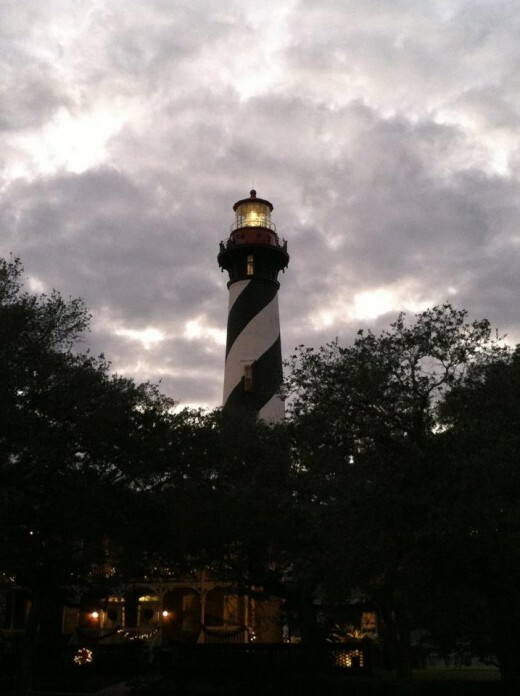 The lighthouse is located at the north end of Anastasia island, and it was built in 1781, and in 1784. It privately aids navigation, and it is an active working lighthouse. There is also a Spanish Military Hospital Museum that has the Second Spanish Period medical practices displayed. The St. Augustine Alligator Farm Zoological Park has been existence for 75 years, and it is a very interesting place to visit. Ponce de Leon searched for the fountain of youth and as a result there is a beautiful park full of historical crafts and exoctic birds. I did not have any result from drinking the water. There are numerous festivals throughout the year, which features artists, great music, family activities and great food. The bulk of the festivals occur at 25 West Castille Drive (Francis Field). There is typically more than 2 festivals each month, particularly in the spring and fall of the year. The “Seafood Lions Festival” includes arts and craft, a kids zone and live music, which occurs from Fri, Mar 22, 3 PM to Sun, Mar 24, 5 PM at Francis Field. On April 28th, there is a “A Taste of St. Augustine”, which gives vacationers a taste of the popular foodOn April 5th, there is the 24th “Annual Rhythm & Ribs Festival”, which offers fantastic bar-be-que, good music and many fun activities for families. A “Family Fun Feast” on April 27th gives families a chance to enjoy jumperamas, crafts activities, costumed characters, and a team obstacle challenge course. One of the St. Augustine Music Festivals occurs on June 20th, which offer six classical music concerts and many are performed by the Jacksonville Symphony Orchestra. St. Augustine is a delightful place to visit. The historical landmarks are interesting and informative. There are shopping outlet stores, novelty shops and great restaurants. It is hard to go wrong when you visit the oldest city in the United States. Hi Robert, This is a a good city to visit if you enjoy the chatm of historic cities. Thanks so much for your comments. Thank you for posting. St. Augustine seems a wonderful place to take in early American history. Hi Dianna, I wish I could answer your question, but I have not eaten in St. Augustine in about 3 years. I have been there numerous times, but since I had 2 back surgeries I don't walk as well. I know there are several good restaurants, but I don't know about new ones. I do know "The Floridian" is suppose to be a good restaurant, so that might make you happy. I appreciate your comments. I remember seeing many of the buildings shown in the video when I last visited St. Augustine. It is probably time for another visit. Did you come across any restaurants offering local flavor? Hi Shauna, Since you still live in Florida it is not too late foe a weekend or day trip depending on how far away you live. Thaks for your connents. Pamela, I've lived in Florida since 1976 and have never been to St. Augustine. Shame on me, right? Hi Alyssa, I think you and your family would have a good time in this city for sure. I appreciate your comments. This is so interesting! Definitely a place I want to visit. I'm also adding the Ripley's museum to my must-see places list. As a kid, I loved watching Ripley's Believe it or Not and Fact or Fiction. I think my entire family would love to see this historic city. Plus, yoga in the Fountain of Youth area? Perfection! Hi Maria, It is a beautiful city. I apreciate you stoping by and commenting. I have given up on the fountain of youth. Hi James, I haven't seen you in a long time. Thank you so much for your kind comments. Drats...I was hoping you could give me some tips about the Fountain of Youth...LOL. Informative piece about a beatiful city. Beautifully done! I enjoyed the journey. A wonderful town. Hi RTalloni, I didn't know you grew uup in FL, so you may now St. Augustine better than most. I'm glad you liked the photos and I appreciate your comments. Hi Ms. Dora, Maybe you will get to drink the water one day. Life can be full of unexpected events. Thank you so much for commenting, and I am glad you enjoyed the view. Having grown up in Central Florida I remember going to St. Augustine as an elementary student, then on day trips in later years. We may get back there again one day, perhaps during one of the family festivals. Enjoyed your great photos! Thanks for the historical information and other interesting facts. I smile about no benefits from the drinking water. If I ever get there, I'll still drink. Enjoyed the view from your position. Hi Ruby, I am glad you enjoyed reading the article. I grew up in the north and don't miss the heavy snow storms, although I miss the first snow of the season if that makes sense. Hi Flourish, I know you will enjoy your visit. Good luck with the water. I appreciate you stopping by and commenting. This is one place I’d love to visit! Thank you for profiling it. I’m putting it on my short list for places to go when it’s not too hot! I wish I could find a little bit of that Fountain of Yourh. Maybe they took it with them. Hi Lora, It sounds like you spent quite a bit of time in St. Augustine. There are so many historic places to visit, and I like the boutiques on St. George as well. I am glad you enjoyed the article, and I certainly appreciate all of your comments. Hi Linda, It is a very entertainlng place to visit. I appreciate your comments. Hi Audrey, I am glad you enjoyed the article. Thanks you for your kind comments. Splendid article Pamela on St. Augustine! I think it is one of the coolest cities in the US to visit. I used to live in Jacksonville, so I would visit St. Augustine every chance I would get. Such a quaint city with so many interesting places to go! Some of my favorites are the park and the little boutiques that line the street of St. George. It is like going back into time. I tried to hang out around the Fountain of Youth but like you, I didn’t have much success! Although people do say I look a lot younger than my actual age. So who knows? Although, I knew somethings about this old city, I learned a lot about it’s unique history from your very informative & fun article. The videos added a lot and the list of festivals was a great addition too. I will definitley have to go back there soon as your article entices me back to those good old times. There was one dress shop that I just loved and I will have to go back there to see if it is still there. I still have the outfit I purchased there from a decade ago and it still looks great too! Wonderful memories. Thank you for allowing me the chance to revisit them! This sounds like a very interesting place to visit. I'd love to explore St. Augustine one day. Thank you for sharing the information, Pamela. 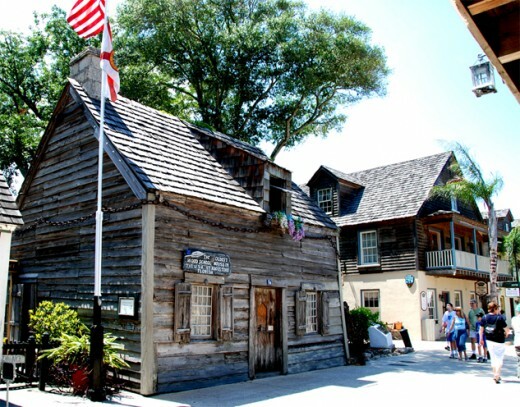 An interesting and enjoyable history of St. Augustine. Wonderfully done! Thank you. Hi Eric, I think your family would enjoy this trip. You always have the most entertaining comments of anyone, my friend. Thanks for your comments. Very cool I really want to go. 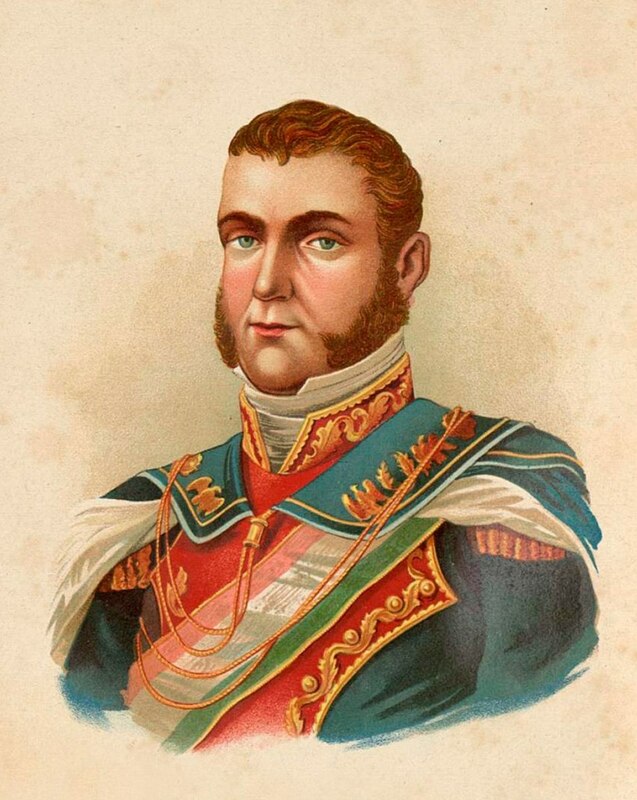 Our own trip to Spain without leaving the Americas. I remember us having a cowboys and Indians (not PC today) roe and laughing in good fun. The Native American kids I grew up with objected to that as the oldest city, in our history class. They insisted that Montezuma Castle and Tuzigoot in Arizona were far older cities. Hi Peggy, Maybe you will make it there one day. It is a lovely city full of historic artifacts. Thanks so much for your comments. St. Augustine has always interested me, but thus far of the trips taken to Florida, we have always gone in other directions. Thanks for showcasing this historic and beautiful city. It looks amazing! Hi Pop, That is an interesting coincidence. I hope you are warm now that you have read about St. Augustine. I appreciate your comments. Hi Bill, I love history also. I am glad you enjoyed the trip. Thanks for stopping by and commenting. his hub was perfect for me. Last week I was so cold I looked up St. Augustine to learn more about it. I wanted to fly out of New Jersey and get warm. Now I feel like I did just that! I love history....what a great place to visit. Thanks for taking me along on your journey, Pamela. I thoroughly enjoyed it. Hi Genna, It seems that everyone I meet that lives there loves it. Maybe you can visit your cousin one day. I appreciate your comments. My cousin and her husband live in St. Augustine...they absolutely love it. I had no idea it was the oldest city in the US. Thank you for this charming and interesting tour of a delightful community. Hi Chris, I suppose many people now that one thing, but it sure can be a nice place to visit. Thank you for your comments. I knew one thing about St. Augustine before I read this article, that it was the oldest city in the country. Now I know much more. Thank you for the informative article.